July 31, 2015 Full “Blue Moon” ~ Ready to Forge a New Path? Although there are no challenging aspects to this Full Moon, keep in mind there are six planets retrograde. I’ve heard both sides of the spectrum in terms of people feeling excited and experiencing a green light to things they’ve been working on, and also challenges and struggles from feeling up against a wall and experiencing continued “suffering” or things they thought being over coming back on the scene again. Here are two astrologer’s take on the energies of the Full Blue Moon today. The first comes from astrologer, Tanaaz, and the second from astrologer, Kelley Rosano. “The July 31st Blue Moon will be a road opener, helping to forge a new path ahead that allows you to move out of your comfort zone and into new territory. Ever heard the phrase- “it only happens once in a blue moon” ? Each month the Moon moves through a cycle of endings, signified by a Full Moon and beginnings, which is signified by a New Moon. However once in a while, the Moon moves through one and half cycles- a full Moon to a new Moon and then back to a full Moon again, all within the same month. This second full Moon is known as a Blue Moon and we won’t experience another one until 2018. 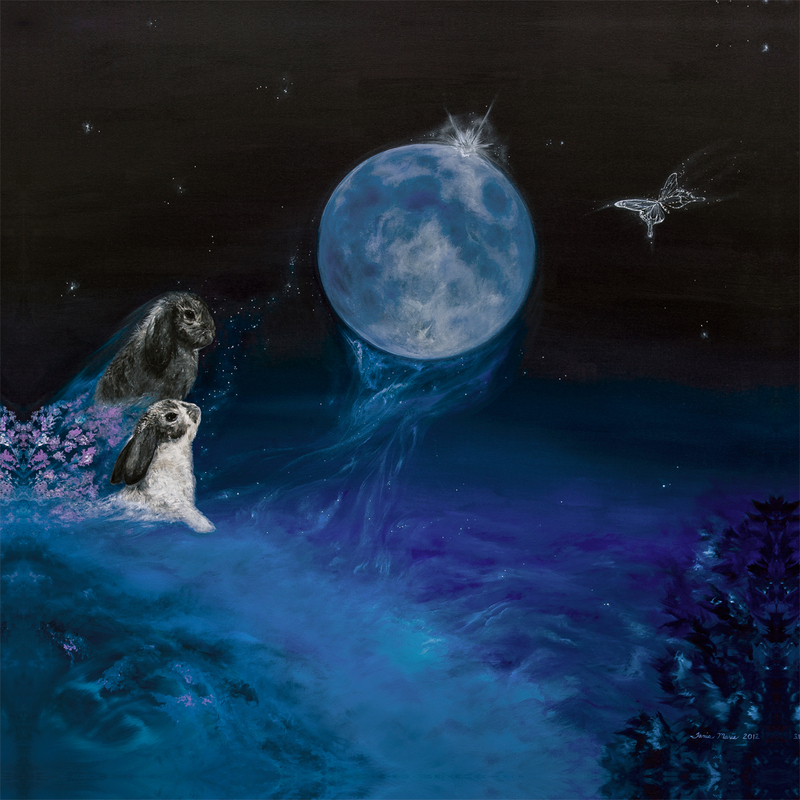 This Blue Moon falls on July 31st in the sign of Aquarius and will follow the cycle that was started earlier in the month on the July 1st Capricorn Full Moon. Remember, Full Moon’s represent completion or endings, so this month we will all be given two opportunities to bring things to a close or resolution. This is important, as clearly the Universe has been providing all of us with a lot of energy that needs to be cleared and released. Know that although this may feel heavy at times, this Full Moon is definitely positive and will be helping us all to set a new course in motion – change is coming! With two key planets moving retrograde this month- Venus and Uranus and Saturn continuing his retrograde through Scorpio, there is a lot of backwards energy that needs to be cleared in order for all of us to be able to move forward. This means that the Universe is really going to be asking us to dig up and revisit the past in order to clear out old, outdated beliefs so we can start fresh. Venus will be asking us to do this in matters pertaining to love and money and Uranus will be helping us to change our self-limiting beliefs and boundaries to provide us with a new sense of freedom. Uranus is all about change and as he moves retrograde we are all going to be encouraged to really sort through the things in our lives that are holding us back and preventing us from living up Ato our truest potential. Saturn on the other hand will be ensuring that we make all of our new decisions and changes with responsibility and respect to what we have all learnt from our past experiences. In fact, this Blue moon will really be acting as a road opener and will allow us to start reviewing and assessing where we need to change course in our lives. Within four days either side of the Blue moon, it is likely that you will see new opportunities present themselves, or perhaps you may be challenged to do something different. Perhaps a new path will open up out of the blue that you may have never considered before. While it is good to be comfortable, sometimes our comfort zone can become debilitating and can hold us back from really moving forward and discovering who we truly are. This Blue Moon is all about moving out of the ‘comfort zone’ and into new territory so we can get a fresh perspective on our lives and where we are heading. In order to really explore new territory we have to trust the Universe and go with the flow. Be open to the opportunities that surround this Blue Moon as they are sure to present clues as to what new territories are opening up for you. Follow your heart and trust that a change of course may be exactly what the Universe has ordered for you. “There is an awesome Aquarius Full Moon on July 31. There are no challenging aspects to this Moon. Yeah! This is good news. It is a party Moon. The Sun is in fun loving Leo. Celebrate your life. Celebrate your gains. Celebrate your success. Even the little wins count. The Aquarius Full Moon is the second Full Moon in July. This makes it a Blue Moon. Once in a Blue Moon, you can make your dreams come true. Your enthusiasm, idealism and creativity could be strong. You may be bursting with new ideas and sudden insights. You can move from breakdown to breakthrough. You are experiencing an expansion in consciousness. Brilliant Breakthroughs may require that you raise your standards and upgrade your relationships. It is time to speak your truth. Choose what is right for you. Be empowered. You are the master of your destiny. You use the astrology to live your best life. You create your reality through your words and actions. When you do what is right for you, it is right for everyone else. • What is your right living-location? The Sun in Leo is strong and powerful in its home sign. Leo is the Star. Aquarius is the theater crew. Aquarius is the team. The group and the tribe you belong. You need both Self and other people to be successful. Leo rules your creative self-expression. The Aquarius Full Moon shines the light on your hopes and wishes. Your goals. It holds the promise of our shared vision for the New Earth. We are creating the New Earth together. Aquarius is the New Age of enlightenment dawning. Everyone is a Star in the New Earth energy. You are to shine your light. Be creative. Be bold. Be brave. Speak your truth to power. You matter. You count. You are important. “We all shine on like the Moon, the Stars and the Sun.” — John Lennon. Full Moons can conclude situations. You may find yourself at the end of a relationship or a job. Some of you may feel as though you are operating in crisis mode. Circumstances for those around you may be challenged. In truth, you are in graduation mode. These events are not always graceful. So please go easy on you. You may feel less than a Self-master. You may feel more like a lost soul. Take comfort, for you are not alone. Many people are experiencing life-changing events. Sometimes your growth can feel weird or strange. At other times, change can be exhausting. You are no longer connecting to your past. You have yet to discover your new place or new tribe. Truly, the old way of living no longer works for you. You are in transition. You are experiencing new aspects of yourself. You are giving birth to the new you. Giving birth is painful. This is real work. This is real growth. 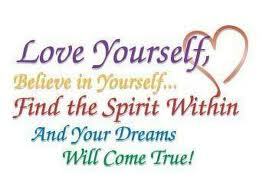 The more you love and value yourself. The more you have to give to other people. Your Self-dedication goes a long way. A helpful way to navigate through life is to use balance in your choices. Instead of asking, “Is this a good or bad idea?” Ask, “What supports my balance?” Balance is essential to being present, powerful and effective. Relax and flow with your changes. Venus retrogrades on July 25 through September 6. She will remain in Leo until October 8. Venus rules what you like, love and value. She is the Goddess of relationships. This is a time where you will be re-evaluating what truly matters to you. • What do you want in love? • What makes you happy to be alive? • What are your talents, gifts and abilities? • Are you maximizing your skills to achieve your goals? Venus retrograde can imply that this is not a good time to make major decisions. Things may be in a state of flux. Relationships are ripe for misunderstandings. You could misconstrue the feelings of others. Venus is in Leo. Leo rules romance and affairs of the heart. This is not the time to start a new relationship. This is not the time hire new people. This is not a good time for legal matters. This is true for the lower courts. It could be an unprofitable outcome. There could be delays and setbacks. Someone from your past could return into your life. What do you need in relationship? What do you want in your life? This is a wonderful time to go back and complete creative projects. This is not the time to start new projects. This time is about creating inner value from your work. This is not the time to present new work to the world. Derive your value from completing things. This is a good time to evaluate your money. Where is your money going? Uranus turns retrograde on July 26. There could be an abrupt change in your direction on this day. See where Aries lands in your natal birth chart. This is where your plans could alter suddenly. Uranus is expect the unexpected. Anything that happens to you unplanned is Uranus. You could receive important insights on this day. Uranus is the liberator. He empowers your personal freedom. Uranus encourages you to have greater creative self-expression. His approach is not always gentle. The goal is to remove your self-imposed chains. In order for you to reach your greatest potential. Your freedom is required. Uranus can empower you to make a fresh start. You can be too restful in your rut. Uranus can push you out of your comfort zone to inject new life into you. This keeps your life fresh and lively. This shows you that there is more life for you to experience. Be open to the new experiences that are now in your life. August begins with good news. Saturn moves direct on the first. In these last six weeks of Saturn in Scorpio. You are to finish your unfinished business. Here in truth seeking Scorpio. Saturn gives you the clarity you need to evaluate your emotional attachments. Self-limiting patterns that hold back your success. • What needs completion for you? • How are you getting in your own way? • Are you ready to achieve your goals? Venus will couple with Jupiter on August 4 mark that day. There could be blessings bestowed upon you. At a minimum, you could have a very pleasant day. Mercury the messenger enters the sign of Virgo on August 7. Mercury is strong in his home sign. This is a great energy for detailed work. Focus on your goals let go of distractions. Mars the planet of action and desire enters Leo on August 8. He wants to play. This is good time for recreation. Re-creation. Mars can give you a boost of self-confidence in Leo. You may feel more outgoing. You are ready to take a chance. The greater the risk the greater the reward. This is an awesome energy for working out and playing in team sports. Mars can empower your greater self-expression for the next seven weeks. Jupiter enters Virgo on August 11. He will be in Virgo until September 2016. You move from the big idea and dream in Leo. You are getting to work in discerning Virgo. You do not want what is most pretty. What is the real substance in the person or project? This is a good time to expand your field of knowledge or develop your technical skills. You may be more practical and intellectual in your approach to business and life. Watch out for cynicism or being too critical. Do not be so occupied in your physical living that you forget to nurture your soul. The Aquarius Full Moon is live from your truth. Be who you truly are. Be authentic. Seek out those who share your values. The Light is pouring down from the heavens. There is a giant wave of light washing over you now. Creator is using the astrology to transform our economic systems and governments. Do not judge what is changing as good or bad. Know that what is occurring is for your highest good. Be positive. Be proactive. Stay out of fear. Let go of what is not working. Focus your energy on what is working in your life. Be creative. Make your passion greater than your resistance. You will create what your heart desires. Abundance is the ability to do what you need to do. You are a powerful creator. What are you creating? Although today is not the day in which I both lost and found my true self and most cherished soul – a day I hold in reverence each year since 2008 – I felt guided to reshare this blog post I wrote two years ago. The nudge to find this post is twofold. For one, yesterday I shared a lunch with someone dear to heart with whom I’ve shared a full circle experience in life with since I was 15 years old. And while we ate and caught up on our lives, this story that was the tipping point in my own, ended up being shared. I’m always amazed at how often this story comes through and how much it ends up touching so many people’s lives and hitting a chord. And two, I know that many souls have been transitioning and I have recently been in contact, and working, with so many that are challenged with feeling stuck in suffering and pain for varied reasons, and have a hard time giving themselves permission to experience release and joy again, let alone imagining that there is a way through the dark. There is and you can. I know this, not just in theory or concepts, but through actual experiences. Suffering is a choice and one we can release ourselves from when we allow our perspectives to be expanded, we open to a new and profound understanding, we release judgments, we give ourselves permission to feel whole again, and we allow things to work themselves out rather than feeling we need to punish or correct things ourselves, as the only ones we end up punishing is ourselves. Life goes on with or without us…the Universe doesn’t judge or label things, karma takes care of things without your help, energy keeps flowing. So why do we decide to buck that and build a dam within us to stop what is natural from moving through? There is actually profound sense to the seemingly senseless. Today is a special day I commemorate with love and honor of the being that has taught me the true meaning of unconditional love, alchemy, magick, authenticity, and reminds me daily of my chosen path. Nestor, aka Nestie (as she embodies both Divine Male and Female), transitioned 5 years ago today. The number 5 has always been an auspicious and potent number between the two of us, and so this year-mark seems poignant. You’ve heard me share much about Nestor in many a blog, so today I just want to share how life transitions carry with them a powerfully beautiful message, despite how painfully tormenting it can be to the human heart when it takes place unexpectedly. This is a reblog from a reblog of a reblog from Summer of last year posted by Galactic Free Press, shared by Laura, and reshared by me. 🙂 I guess that means it just might be kind of important. I can’t tell you how many clients I’m working with, friends, and people I hear from that are all currently working on this theme right now. So, I felt called to post it again. I’d like to add a couple of “Heart Thoughts” from Louise L. Hay in addition. While I know these are some challenging things to embrace for ourselves…they truly are key. I can’t tell you how instrumental your own love for yourself is. And while I don’t believe solely in reprogramming through affirmations, reading and reciting these words to ourselves with honest reflection and vulnerability, can help to uncover the energetic, emotional, mental, and physical blocks to them so that we can start to shift back into our most natural selves, one layer at a time. This takes some work and courage, but with dedicated commitment to yourself and to living the life you desire, you CAN get there. So pay attention to the resistance, tightness, pains, thoughts, feelings, etc. when you read and tell yourself these things. What messages do those pains and areas have to share with you? What does your inner child desire from you to support and nurture? What has she/he longed to hear or receive from you? What you desire from another, or life itself, is the very thing you hold the key to gifting to yourself right now. “Be gentle, kind and comforting with your inner child as you uncover and release the old, negative messages within you. Say: All my changes are comfortable, easy and fun. “Each one of us is always working with the three-year old child within us. Most of us, unfortunately, spend our time yelling at that child, and then wondering why our lives don’t work. I embrace my inner child with love. “At least three times a day, stand with your arms open wide and say: I am willing to let the love in. It is safe to let the love in. Every thought you are thinking is creating your future. Every breath you are taking is affirming your feelings. Stay present to the breath of your heart. When you are feeling really good, pay attention to how you are breathing. When you are feeling frustration, anger, sadness, disappointment, confusion….pay attention to how you are breathing. You are the power in your world to change how you feel by changing your way of receiving life with more conscious breathing and choices. Matching and balancing your breath to your physical, emotional, and mental state becomes a dance that can either flow in graceful rhythm, or step all over itself in discord. If you want to shift the rhythm of your dance, stay present with how you breathe in life. If you want to be more compassionately empathic in your relationships with others and all of life, learn to match your breath to All That Is and you will understand on a deeper level. Conversely, if you’d like to create collective shifts by embodying a certain vibrational experience, pay attention to regulating your breath in rhythm with your essence, so that others may know the experience of their own when breathing with you. Breathing together balances and harmonizes. You can choose to meet others in their breath, or receive their meeting with yours. 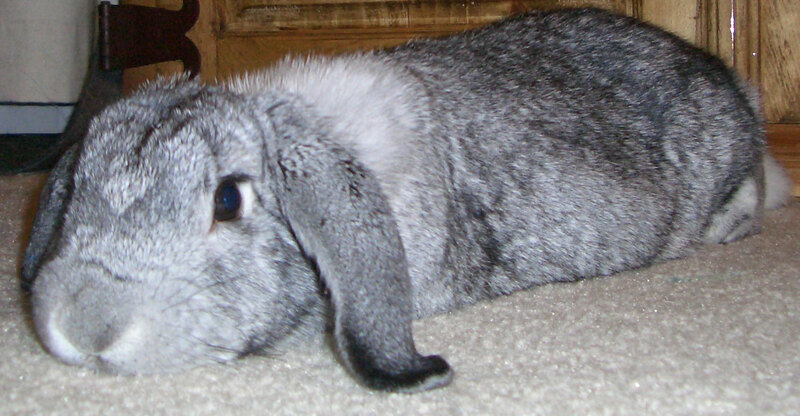 The Next Level of Bunny Communication – Binary Codes and More! This is what happens every time I do my phone sessions with clients now. The team comes together and supports the process. I snapped this photo while I was waiting for my client to call and they remained together, sitting in front of me like this throughout, sharing their energy and guidance. Not only do they like and want to be in on the action, but I invite them in on everything I do, as the energy of us all together is greater than alone. I just adore and honor these powerful souls. I had an interesting dream last night where Joy and Cosmo shared with me that they represented binary code. Joy is “0” and Cosmo is “1”. Apparently they said this is another way they can communicate with me in codes I can translate. I found this especially interesting since Laura and I had an extremely wild experience once on our weekends on the coast of Northern California over Halloween where binary codes were coming through the oven in the kitchen and my tortoise Gaia, who was with us along with our friend’s cat, Lily, was also chiming in with this and ET coding in combination. I’m curious to see how this is going to play out, as I feel Joy and Cosmo are gearing up for what we’ll be channeling together in my three months off. It’s also curious that I’ve been calling Cosmo, baby “G”. I used to call Gaia “big G” and “G”. I don’t know where all of the nicknames come from that I call my little ones….they just come and they have many different ones that evolve. This latest one for Cosmo has just recently come through. I’ve been feeling Gaia around a lot so perhaps he is channeling Gaia, just like Joy channels Nestor. He does actually do a similar head nodding action that Gaia used to do, in quick telepathic rhythm. I so love it. I always invite all four of them in to assist everything I do. My little ones always communicate with me in dream time where we share telepathic communication and it has been very literal in what they tell me and show me that then shows up in wake time. Needless to say, this dream adds another cool element to our connection and communication. I also this morning tried a “Float Room” for the first time and was in the cosmic abyss for an hour and a half visited by Nestor and others, as well as received the name of something key for what I’m creating just as the session ended before the music came on to let me know the 90 minutes was done. I ended up getting a package of three to return and receive anything more they want to share. Always something new showing up when we’re ready to step into more. Binary codes and floating it is! Each morning when I rise, I immediately tend to the bunnies and clean up, taking the trash outside. And when I do, I spend some quiet, still moments watching the sunrise and looking at how my plants are doing that I’ve been growing from seed out front – sunflowers, moonflowers, malabar spinach, and wild flowers. With the tropical weather we’ve been having the last couple of weeks I felt like I was somewhere else than I am, especially so when I saw all of these little ones gathered in the stillness of the morning on the milkweed flowers. 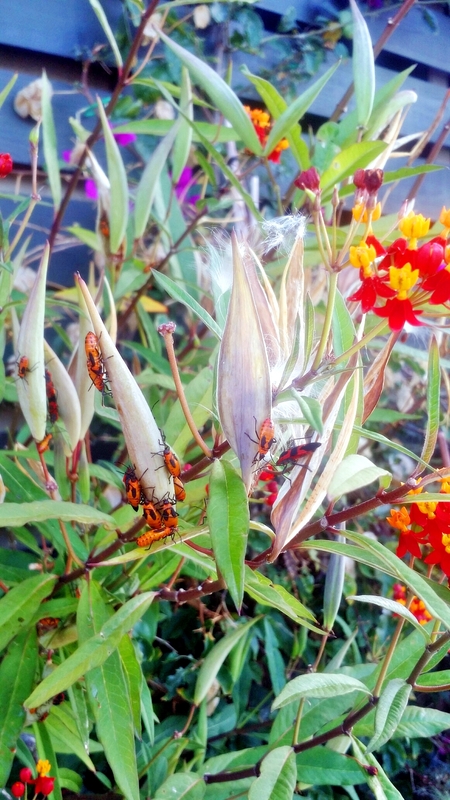 I was doing some research about them and found there to be different thoughts as to what to do or not about the presence of milkweed bugs. 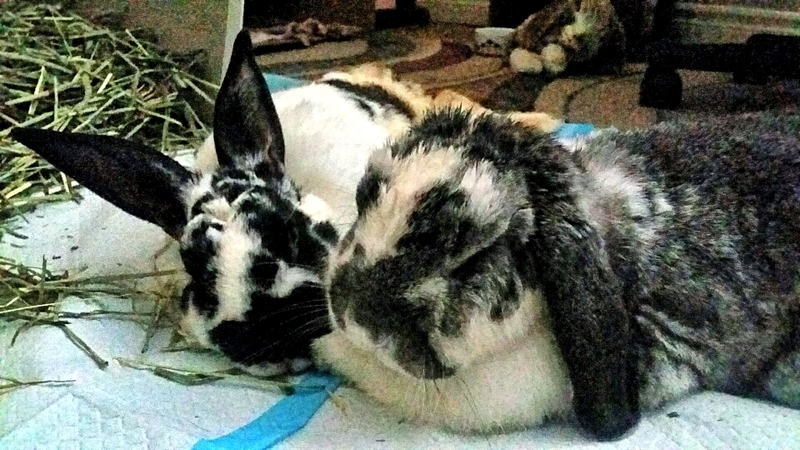 Since they do little damage and are only around for a short period of time (mid to late summer), living with them seems to be the most caring thing to do, realizing the natural life cycles of things and the bigger picture not for me to control. They’re considered more of a nuisance to some than a threat to the milkweed plants. Since our milkweed plants have consistently been doing great, I see no harm in their presence. They are important in regulating populations of milkweed plants in the ecosystem and since they can tolerate the toxic compounds of the milkweed plant they have few predators. So unless you’re trying to raise a bunch of milkweed plants they don’t have a large, negative impact. Their resiliency and ability to transmute toxic things into sustenance seems pretty potent symbolism to me. 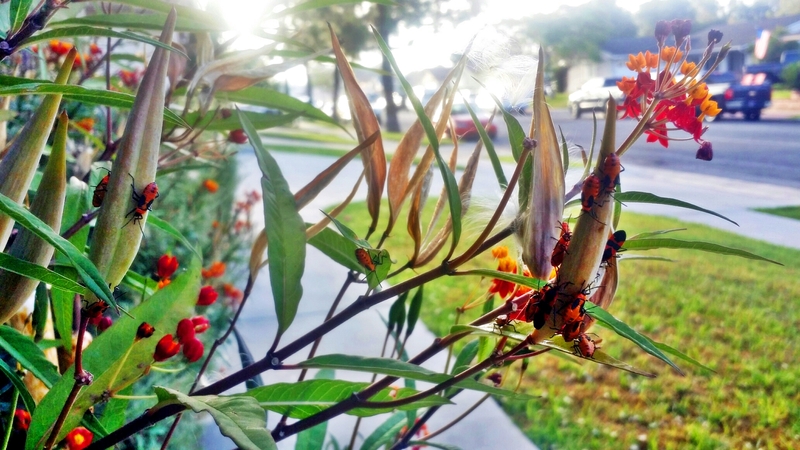 Regardless of how others may see the milkweed bugs, I found myself sitting in stillness with them, listening to the music in the sunrise this morning. Perhaps they were sharing their secrets of thriving, rather than merely surviving (a theme of late) and transmutation with someone who actually wanted to listen. Often, when we become more spiritually enlightened, we can easily convince ourselves that we know it all already. We become very adept at using all of the spiritual terms and concepts we’ve learned, to talk our way through things on the surface and yet haven’t a clue how to actually integrate and embody that, let alone understand that we aren’t really seeing the depth of the picture – we’re merely spewing out the “right” words we think we should use. Ironically, we can actually become closed off to widening our perspectives even more because we think we have all the answers, or we feel the need to pretend we do so that others will see us in a certain light. It becomes much easier to deceive ourselves or play subconscious, self-sabotaging games than to accept that we may actually have more available to us to learn, which can help us to continue to heal and evolve. This is a great reminder from Shakti Gawain (below) about authentically embracing who you are right now with vulnerable integrity. I share it, as I see it as one of the themes in the collective pool to be conscious of so that we can widen and deepen our potentials, while also continuing to raise the bar on our vibrational frequency we are embodying. If we pretend to be more enlightened than we really are, we will miss an opportunity to heal ourselves. Admitting our limitations can make us feel vulnerable, yet it is very freeing. We just have to be ourselves as we are now, accepting the mixture of enlightened awareness and human limitation that is in each of us. Through this self-acceptance, we find a deep peace and self-love. So, I found it incredibly interesting, as well as profoundly symbolic, that I wrote an entire post and lost it all this morning. I was really excited about it and was just about to publish when I “inadvertently” hit some keys that shut everything down before having saved it. It expounded upon nurturing hope, trust, love, extra conscious presence, belief, inspiration, and motivation, as I used the example of how I care for my animal companions and plants, as a reflection of the consistent way I care for the seeds of creation I am nurturing and cultivating in all other areas of my life. The same ways in which I trust my instinctual nudges and don’t give up on any of them simply because they are in need of extra tender attention for the time being, is a reminder to how all things in life can be approached to create amazing possibilities and to be in alignment with the underlying energies at hand. Sometimes that translates into tending to the little, yet important things a bit more consciously, or being able to see the light at the end of the tunnel with unwavering trust and love. And sometimes that translates into surrendering into peaceful embrace of what is naturally unfolding, realizing the perfection of the bigger picture at hand that is at work for the highest good of all concerned. And when doing so, we receive beautiful gifts and surprises that birth forth with renewable thriving. This may not always be the case, as some things simply are showing us the impermanence of life, the continuity of life cycles, the natural evolution, constant change, and the need for loving release and surrender into the flow of unfolding that is presented to us. 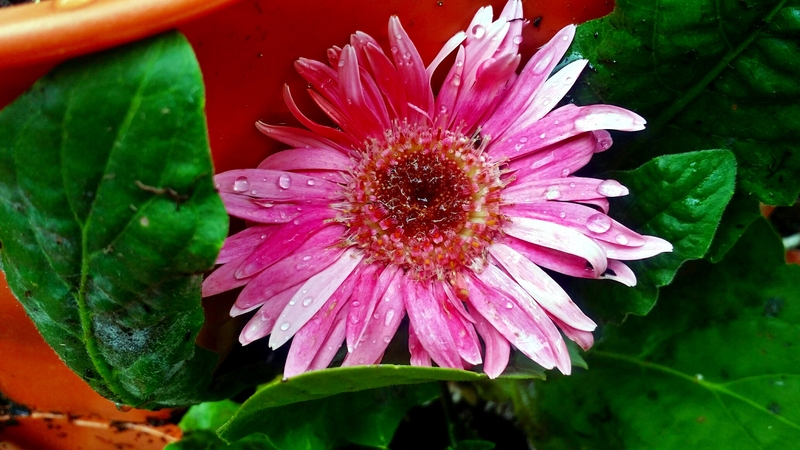 My Gerbera Daisy plant hadn’t looked exceptionally well, but I hung in there with it and kept giving it love. I’m happy to say it not only pulled through but presented this lovely pink bloom surprise! Yay! So, while I could likely have pushed my brain cells to try and retrieve what I wrote somewhere in my memory, instead I let go of the need to do so, and embraced the natural evolution and instant reminder of death and birth, endings and beginnings….that all simultaneously take place and provide a new spark of invigorating creative energy potential. I decided not to allow frustration to take over and that whatever REALLY wanted to come through, would. Much like what is unfolding in very big ways, very literally in my life…not just with my plants. There are reasons things unfold as they do. Sometimes they call for us to take heed more and tend to loving nurturing that we need to be more present to, and which can make the difference in what we want to create, when we do so. And sometimes we need to understand the message that there are times for us to move on and the culmination of closure is at hand. Many times both of those come hand in hand. All of which is not a loss, but simply a gentle embrace of potential adventure into the brilliance of your next choosing. Something new is always available to us. It may not be the same…and in fact it shouldn’t be. It temporarily may feel uncomfortable. You might go through a short grieving period, as you let go with gratitude. It might bring to light your fears and feel scary at first. It will take an adjustment period while you integrate. But it WILL present you opportunity in every way. Opportunity for something more than you thought possible. Opportunity to be more naturally you because you are in the flow of life, rather than using your energy to go against the current.